Tom's Tile Repair and Grout Repair Services like Tile Regrouting, Floor Tile Repair, Tile Grout Repairing, Shower Grout Repair, Bathroom Tile Repairing, Tile Replacement, Tile Crack Repairing. Tile Sealing is performed only after thorough cleaning the grout using a sealer. Our premium Sealer helps in protecting the grout by minimizing and repelling discoloration from the acids, grime, and dirt. Toms Tile Grout Cleaning expert well versed with the latest technology & environment friendly cleaning methods transforms your surroundings into nothing short of spectacular. Tom’s Cleaning services in Melbourne is available all round the clock. Your convenience is our priority. Do you remember the time when you got your first house ready? It gives you a fresh feeling with cleanliness all around, but is the same feeling alive when you step into your house after a year or so? You must have come across instances where you could feel that the tiles in your house or offices are covered with dirt or some stains which a normal mop fails to hide. This happens when the dirt gets into the pores of the tiles which make it tough to clean, which in return discolor the grout as well. 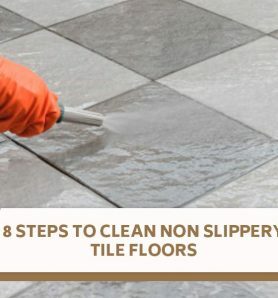 In such cases, people tend to use harsh chemicals to get the tiles and grout clean by themselves which is not only unsafe but diminishes the quality of your tiles. The Professional Tile Cleaners at Toms Tile and Grout Cleanings assist you to reinvigorate the feeling of shining tiles at your home or office. Our Grout and Tile Cleaners provides 24×7 Tile Cleaning Services by providing assistance of Modern Tile Cleaning Equipment which is powerful and proven enough to get rid of germs. We are proud to tell everyone that we use eco-friendly products to clean tiles and grouts. Toms Tile Grout Cleaning Melbourne has benefited many clients with its amazing tile and grout cleaning service. Our highly trained Tile Grout cleaner Melbourne will come to your house or office with advanced and eco-friendly tile grout cleaning tools and material. You will get awestruck with our professional and specialized Tile and Grout Cleaning Melbourne. Clean looking tiles will augment the look of your house. You might be spending a lot of time in Tile Grout cleaning on your own, but still the result is not as good as it should be. Stop bothering yourself any further and take benefit of Toms highly specialized and professional Tile Grout Cleaning Melbourne. Air carries dust, bacteria, mould, fungi and pollen, which settles on the floor. This will make the indoor environment unhealthy and unhygienic. Thus, regular tile and grout repair are important. It will not only keep the tiles clean, but also keep the environment healthy and hygienic. Professional tile grout cleaning services use the eco-friendly solution for process of tile and grout cleaning and repair. It will not only remove dust and other bacteria, but will also make your tiles stain free, which will look like new. Why Toms Tile and Grout Cleaning in Melbourne? Toms grout cleaning service is renowned for its highly professional approach, tile and grout cleaner staff and eco-friendly solution. We are available at your service within a day and our floor grout cleaner team will finish the job in record time with your highest satisfaction. Q: How Do You Clean Tile by Hand or with Machines? A: For tile and grout cleaning and repair, we use both, modern machines and hands. Q: Can you seal grout between tiles? A: Yes, our grout sealing service will perform the Tile Sealing during tile cleaning and sealing process. Q: How long does tile grout sealer last? 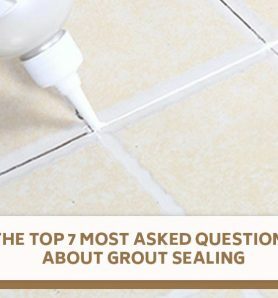 A: Toms grout sealing service results will last for 3 to 15 years. Q: How Does grout recolouring works? A: It will be covered as part of Toms grout cleaning service. Q: How Do I Stop Tile And Grout From Getting Dirty Again? A: Toms tile and grout cleaning services will perform the job of making your tiles clean and attractive. Also, we will apply grout sealing for preventing it from getting dirty again. From your end, you can take care of it by cleaning it regularly. The entire process was done in a quick manner and in a very smooth way. We are definitely going to call them again for all kinds of cleaning services! Amazing team work and wonderful cleaning!! I am so happy with Tom's Tiles Cleaning Service as my tiled area now looks as good as new. I had few tiles broken in my driveway and i was not sure that it will look good after getting them repaired but after Tom's Tile repairing workers completed their work it doesn't look as if they were broken in first place. I was very satisfied with Tom's Grout Cleaning service. Amazing Results at affordable price!! Thumbs Up Tom's Cleaning Services. I wanted to restore my flooring because of few broken tiles and i called many services for consultation and every service told me to get it restored. But Tom's Tile & Grout Cleaning services repaired my broken tiles at affordable charges. Thumbs Up for great service!! We hired Toms Cleaning Services for Tiles Installation for my work space. I was completely satisfied with their dedicated professional team. They even helped me in suggesting the tiles according to the Decor.